Yes, you did read it right. 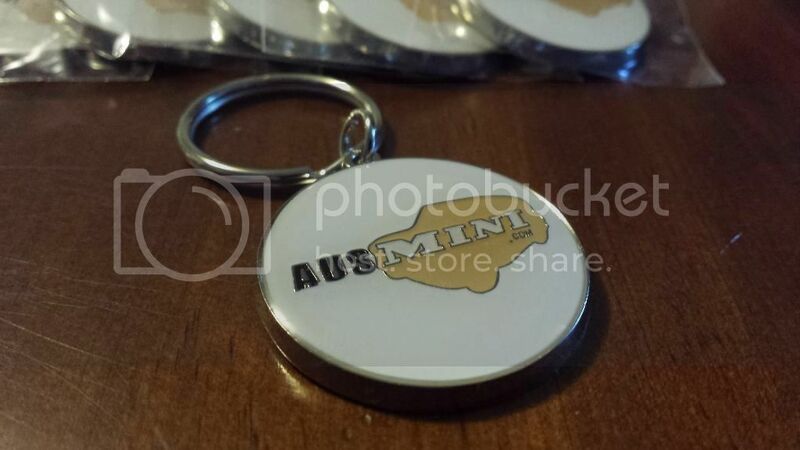 Ausmini keyrings and stickers are back in house. Batch 2 Keyrings are now improved again over the Batch 1 keyrings in that they still have the pressed and enameled Ausmini Logo, but are also now coated in a glossy clear resin. There is now also no order limit. 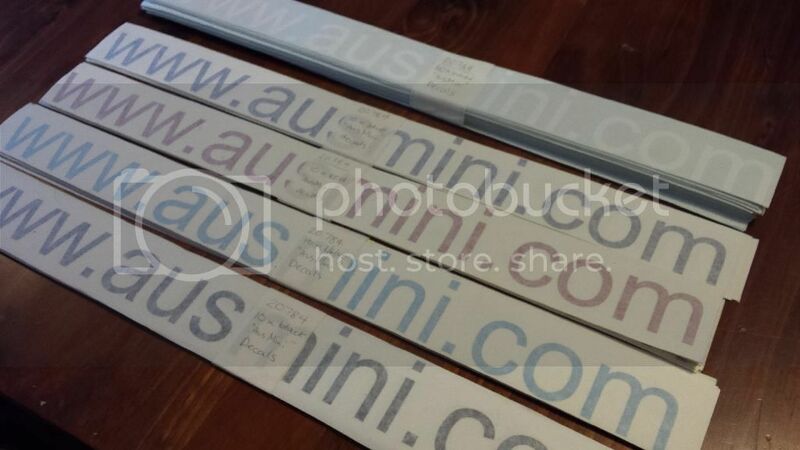 Stickers are 600 mm laser cut vinyl available in white, black, red, light blue, and dark blue. The image does not show the true colours because of the protective colour, but they are are vibrant! Keyrings are 12 dollars each including post. Stickers are 5 dollars each, including post. Profits from the sales will keep the Ausmini wheels turning, with thanks from the Ausmini users, moderators and admin. For payment you will be transferred across to PAYPAL. It is here that you will need to insert your address details in the Note to Seller prior to payment being completed. Please do me a favor here, and write your address exactly as you would write your address on an envelope. This will help me to make sure the keyrings go out correctly. Also tell me exactly what it is you have ordered as this could be a combination of keyrings and stickers, including the colour! Jimboomba don't want any mix-ups. I've tested you permissions, and it looks normal to me, although it may not look normal to you. You scroll to the bottom of the page, select the number by price and press the donate. It will take you to the normal Paypal screen after that. I got the order. Thanks Mick. Frank Ollie, If you're reading this could you please send me your mailing address for the order (and thanks by the way). The email address bounces unfortunately..
Don't suppose there's any still up for grabs, is there?